We have a modern base of large and comfortable rooms with terraces, a conference room and a SPA center, where you can relax, using the sauna, Jacuzzi or a wide range of massages. 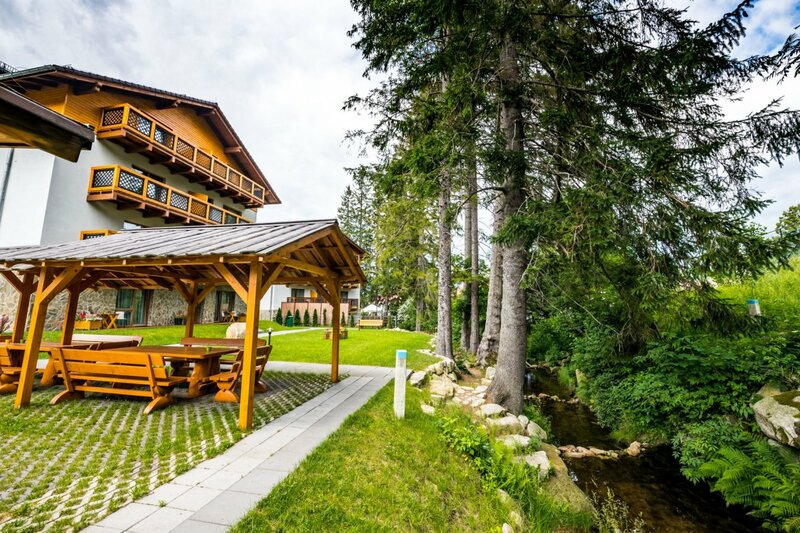 Our qualified and friendly staff will be happy to help you organize a successful trip to Szklarska Poreba and we will make sure that the rest in this picturesque city, Szklarska Poręba, is fully satisfying for every guest. Hotel Na Skarpie was built in the picturesque, historical part of Szklarska Poręba, near the historic center of the city. 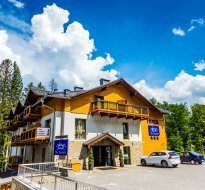 It is an excellent base for skiing enthusiasts (500m to the ski center Ski Arena Szrenica), trekking (Karkonosze, Jizera Mountains) or a relaxing holiday in the bosom of nature. 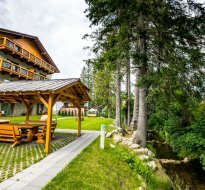 The resort has a free parking with video surveillance, barbecue garden by the stream and bike rental. In the immediate neighbourhood you will find a playground, an orlik and a basketball court. There is also a market nearby (Biedronka). If you are looking for a perfectly adapted accommodation for your vacation, then our Hotel will be a great choice. Available rooms are single, double and double with extra bed (single or double sofa bed), each has high quality equipment. In the morning breakfast is served, and in addition we have the option of buying a two-course dinner supplemented with a delicious dessert. 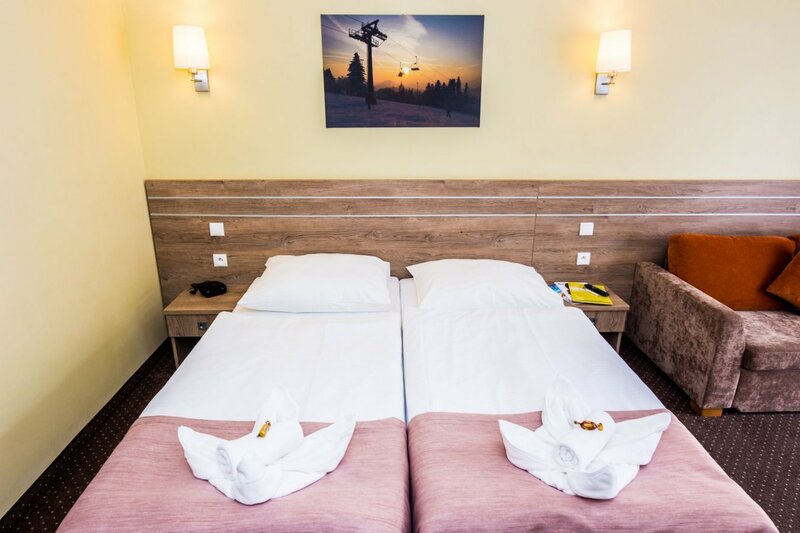 Our accommodation in Szklarska Poręba allows you to relax, without having to do everyday duties. In this way you can afford a really solid holiday. We offer you well-prepared guest rooms. A separate bathroom and a wonderful terrace allow for a sense of comfort at the highest level. We also provide TV and telephone, as well as completely free WiFi access. The rooms have a fridge and tea and coffee making sets. The offer includes a room that has been ideally adapted to the disabled. 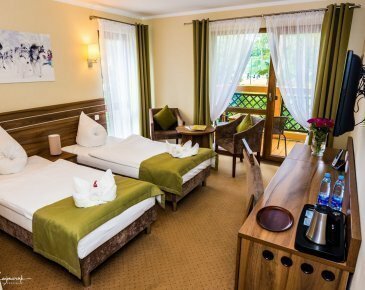 All this means that the rooms in Szklarka Poręba will meet all your requirements and expectations. We serve buffet breakfasts (buffet) from 8.00 to 10.00. Our facility is not just individual recreation. We work with business organizing banquets and social events. We have a room that can accommodate about 70 people and is ideally suited for modest celebrations as well as sumptuous parties, weddings and parties. 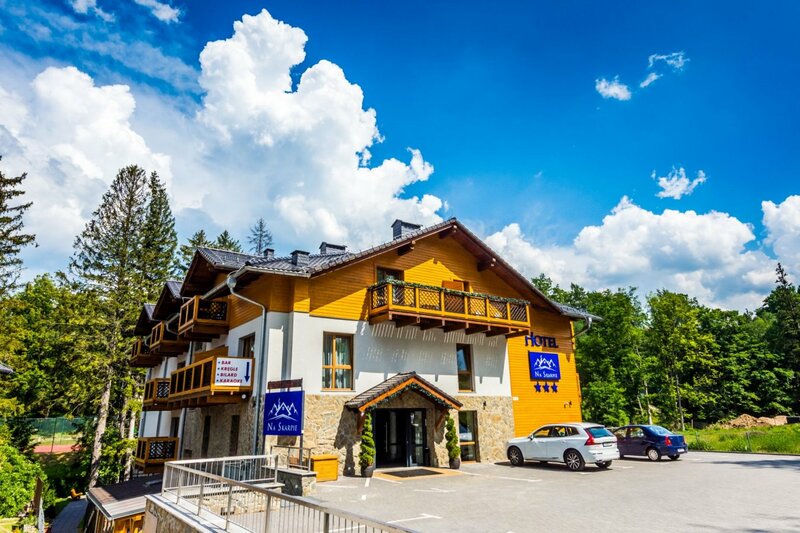 We have a special room for storage of ski equipment and bicycles. On the racks you will find a place for 15 pairs of skis, 10 snowboards and 10 pairs of ski boots. The ski storage has a dedicated ventilation and heating system to ensure optimal conditions for stored equipment. We invite you to take advantage of our offer. We are convinced that the impressions of staying in our hotel will be remembered for a long time and you will want to come back to us at every opportunity. Hosting you will be our greatest pleasure.